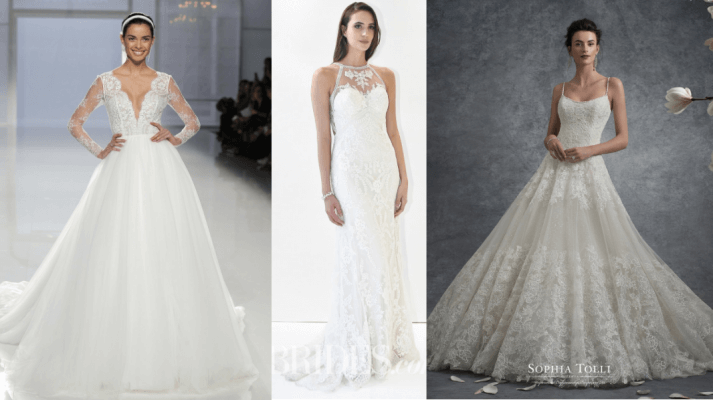 Trying to find the perfect wedding dress shouldn’t be a stressful time. It is a dress that should encompass your personality and a dress that when you walk into a room, you feel at your most confident. The best way to feel confident is to find a dress that shows off your best features and is carefully crafted for your body. Here is the ultimate guide for what to wear for each body type. For our petite brides, a mermaid gown provides a gorgeous choice. The trumpet skirt’s seemingly never-ending line, alongside with the high satin band will elongate your body, adding inches to your height. A pattern with tulle rosettes offer something that is not too overwhelming on your small frame. 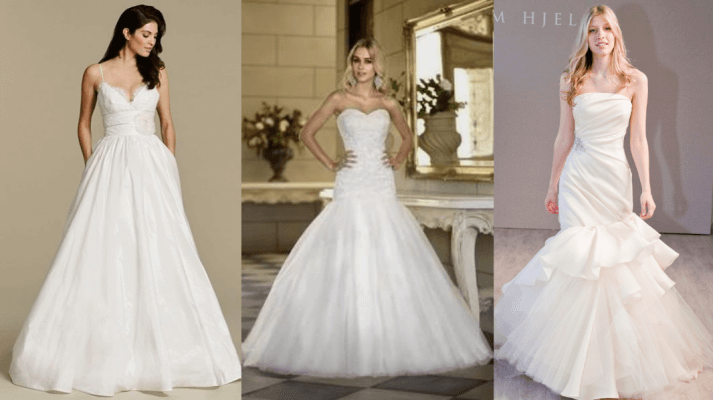 If you have a pear-shaped body, try going for a wedding dress with high volume details on the bodice, with a fit-and-flare silhouette. An a-line or ball gown wedding dress that cinches at the waist, will keep focus on the bodice. Simply do not hide those curves, show them off! The most flattering dress style is a dropped-waist gown that skims your hips and flares midthigh. Also, asymmetrical folds on the bodice as well as a side gathering on the skirt will create angles around your body. Or perhaps a taffeta wedding dress, that has a structured bodice, as well as a band that gathers that shows off your waist. Choose something simple and understated, perhaps a sheath wedding dress. This entry was posted in Kelly's Blog. Bookmark the permalink. How Do I Choose The Right Celebrant? A Coffee Bar at Your Wedding Reception?